Quite simply some of the most stunning sandy beaches we've yet had the pleasure of enjoying - a long strip of soft white coral sand fringed by achingly aquamarine seas perfect for swimming! 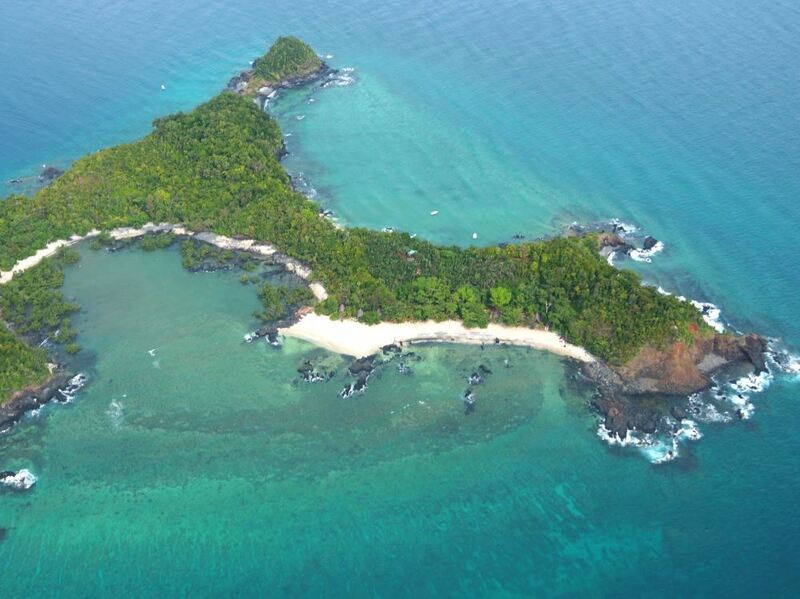 Explore the area with a sandbank picnic, go kayaking around the island, snorkel, go fishing - but scuba divers will be happiest of all with every dive on the 11 km of reef virtually a virgin dive site never explored before! There really is little to beat eating delicious fresh fish by romantic lamplight under the vast night skies with your toes in the sand of the beach! We absolutely love “one island, one lodge” destinations as there really is nothing like the feeling of being on your own private Robinson Crusoe paradise far from the hordes of tourists. 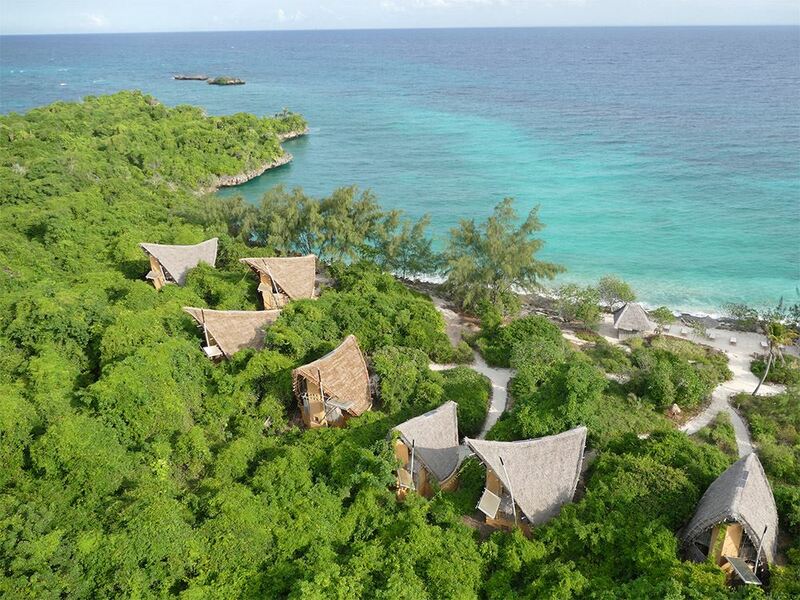 The main problem is that most of them – think Mnemba Island off Zanzibar or a variety of island lodges in the Seychelles like North Island – also carry such astronomical price tags that they are all but unaffordable. That’s why it was such a delight to discover Fanjove Island, a wonderful tropical island which forms part of the Songo Songo Archipeligo off the southern coast of Tanzania, where there are no other tourists in sight. 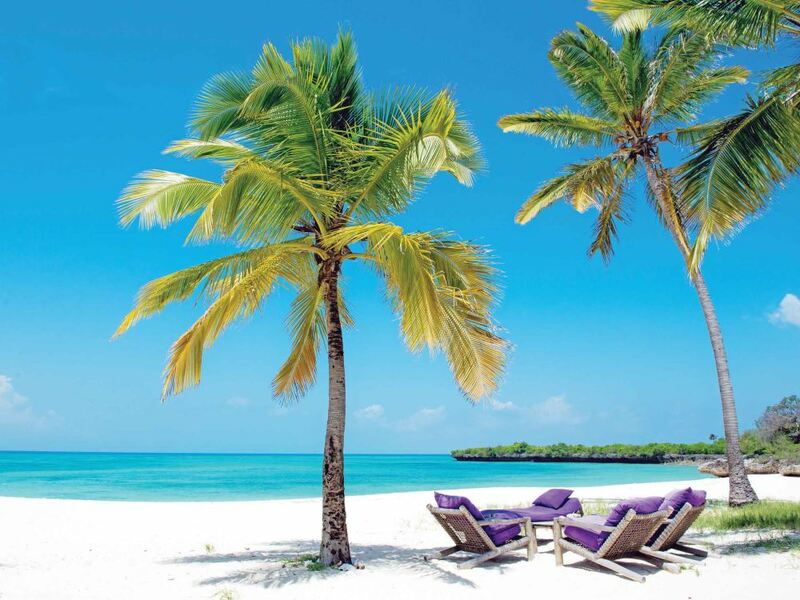 Similar to Chumbe Island off Zanzibar, Fanjove provides a simple back-to-basics island lodge experience, the focus here being firmly on the gorgeous island and its unspoiled beaches and wildlife rather than on trying to provide luxurious designer accommodation. To get the island is actually fairly simple given its isolation – you take a short 40 minute flight down from Dar es Salaam to Songo Songo island and there you’re picked up for a short boat transfer to Fanjove (perhaps accompanied by a pod of dolphins if you’re lucky!) The old German-built lighthouse is the first thing that you see upon approaching the island, followed by the sight of palm trees above blindingly white coral sand beaches fringing by aquamarine waters. As we said, don’t expect a luxurious 6 Star designer lodge – if you’re wanting rim-flow plunge pools, television and air-conditioning then you’ve most definitely come to the wrong place! Instead the 6 simple but attractive bandas, amply spaced along the gorgeous beach to ensure absolute privacy, are the epitome of rustic Robinson Crusoe style. They’re very similar to the bandas at Chumbe Island in fact, resembling a dhow sail in shape and built almost totally of wood and thatch. The bandas are designed to be completely open at its front to take full advantage of the cooling sea breezes as well as provide excellent views over the beach – we love the main “door” which works similarly to a lift bridge connected with a rope to a pulley (almost identical to the traditional system used for the local dhow’s sails in fact!) At the back of each banda is an airy bathroom with open shower, whilst wooden steps lead upstairs to a daybed area, ideal for an afternoon snooze. The overall effect is charming and you have the further feel-good factor of knowing that it’s all solar powered and environmentally friendly. Heading off down the sandy pathway you’ll get to the similarly styled open thatch main lounge and restaurant/bar area with its inviting sandy floors and comfy furniture perfect for simply chilling away the hours with a cold drink in hand! 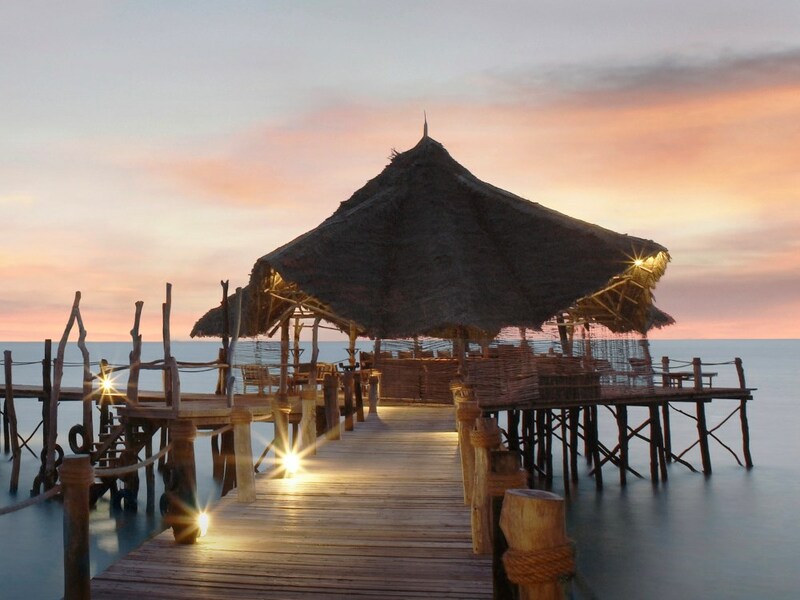 The food is excellent, with freshly caught fish featuring prominently on a menu which blends of Swahili and Western style with a definite Italian influence. Service is wonderfully friendly as is usual in East Africa. There really is little to beat eating delicious fresh fish by romantic lamplight under the vast night skies with your toes in the sand of the beach! The beaches at Fanjove are the highlight of a stay here – absolutely superb with wonderful white coral sand fringed by aquamarine seas and some of the best we’ve yet seen on our extensive travels! As in common with most of the East African coast, the tidal range is significant and at spring low tides you may have to go out a couple of hundred metres to get to the water. The swimming here is exceptional though, and we have fantastic memories of swimming through massive clouds of tiny silver bait fish shoaling literally within a couple of metres of the beach! This isn’t a large resort with a big water-sports centre so activities are relatively limited. There are a few coral bommies off the beach in front of the restaurant that you can enjoy snorkelling around or go by boat to some idea spots. At low tide the lodge can take you to a secluded sand bank that offers snorkeling and chance to have a local lunch with grilled fish prepared privately right in front of you. Here you can relax in the shade and wait for dolphins to come by, or jump in the water to cool off, until the sand bank disappears underwater with the incoming tides. Another great option is to soak up the sunset and views of Fanjove from a traditional East African dhow with a sunset dhow cruise enjoying a sundowner while experiencing the timeless beauty of these wooden vessels. 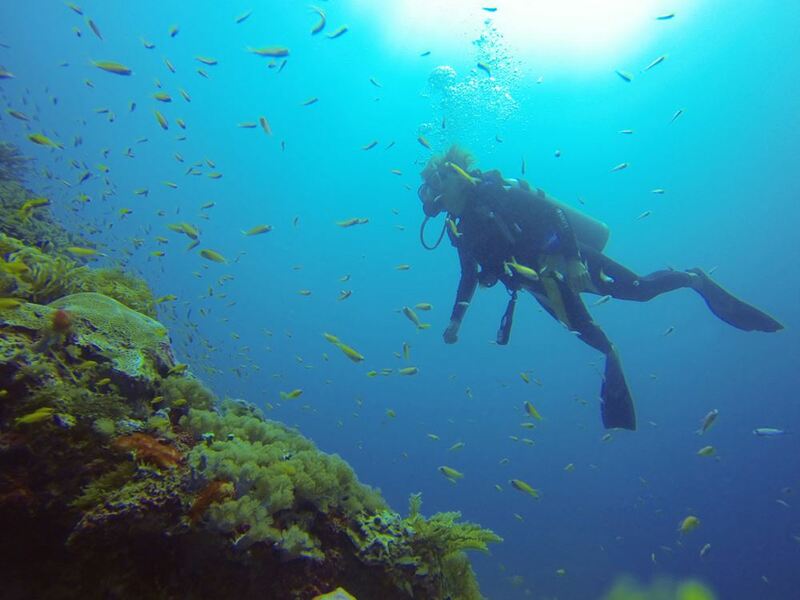 Perhaps the highlight though has to be the very rare opportunity to explore virtually virgin scuba diving sites - the coral reef extends for 11km, which is mostly unexplored as almost nobody has dived in the area. With a share of the lodge income donated to the community living on the main island of the archipelago of Songo Songo for their social development, in exchange the community has agreed not to fish on half of the 11 km of Fanjove coral reef as well as to only use sustainable fishing methods. Each dive is likely to be at a completely new dive site with sightings of new fish, shark, mammal and invertebrate species on nearly every dive. Varied marine landscapes such as underwater pinnacles and gardens of cabbage coral with 20+ metre visibility make for a rare chance to experience an area that no one has ever explored before. Back on the island what struck us was the richness of the birdlife with Fanjove being home to literally thousands of sea birds that make for an awesome spectacle. We have great memories of standing at the main beach with sundowners in hand at sunset, watching as large game fish attacked the shoals of bait fish just off the beach with herons standing poised to snap up any fishy morsel that jumped on the sand in their futile attempt to escape! That’s not where it ends though, with turtles coming regularly to lay their eggs on the island’s beaches and rare coconut crabs (the largest land crab in the world) also spotted, as are occasional pods of dolphins passing by.